engraving for personalised heart charm. indicate that you would like a heart symbol by using ? This simple, modern sterling silver bracelet will make a perfect present for all age groups. 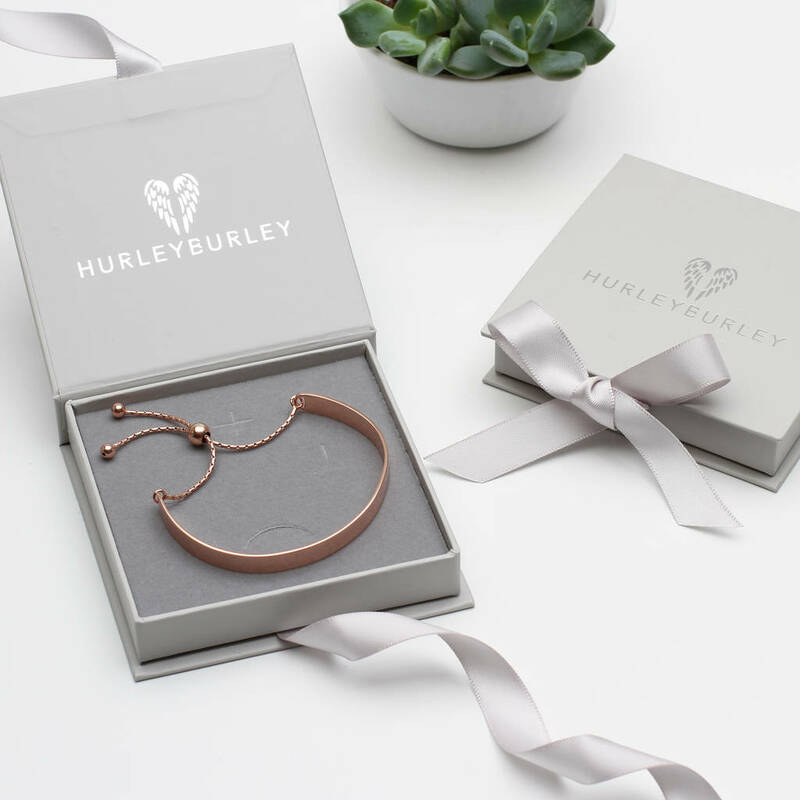 Easy to wear and beautifully made, this will be a lasting symbol of your love to the lucky recipient. 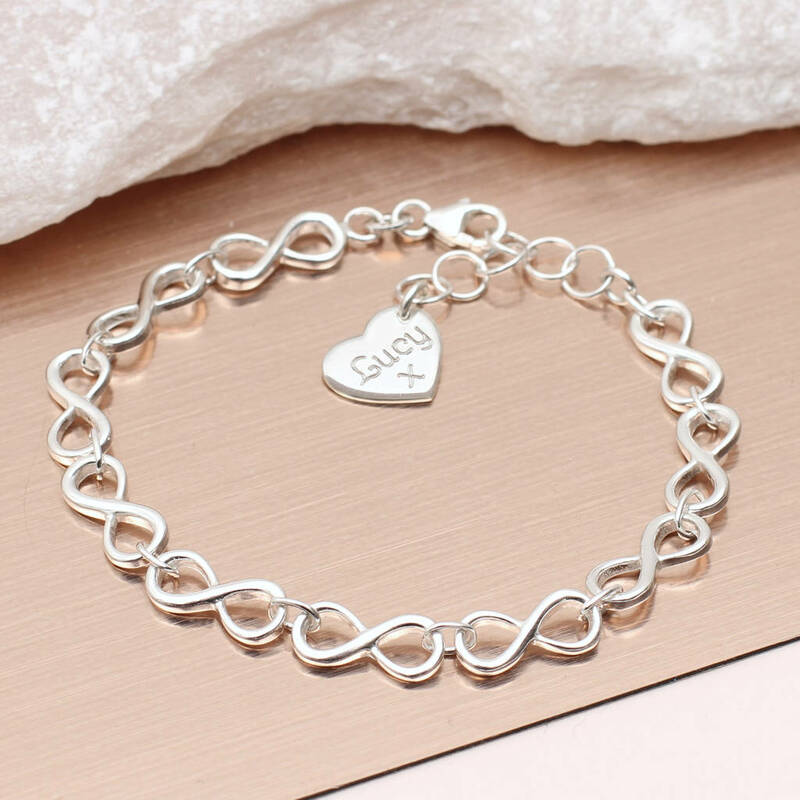 We can add a cute personalised heart charm to the bracelet clasp. This adds a unique touch and makes it truly special for the recipient. We can engrave the tag with up to 10 characters. To show a heart symbol please put a question mark. EG. ?